Daiso. 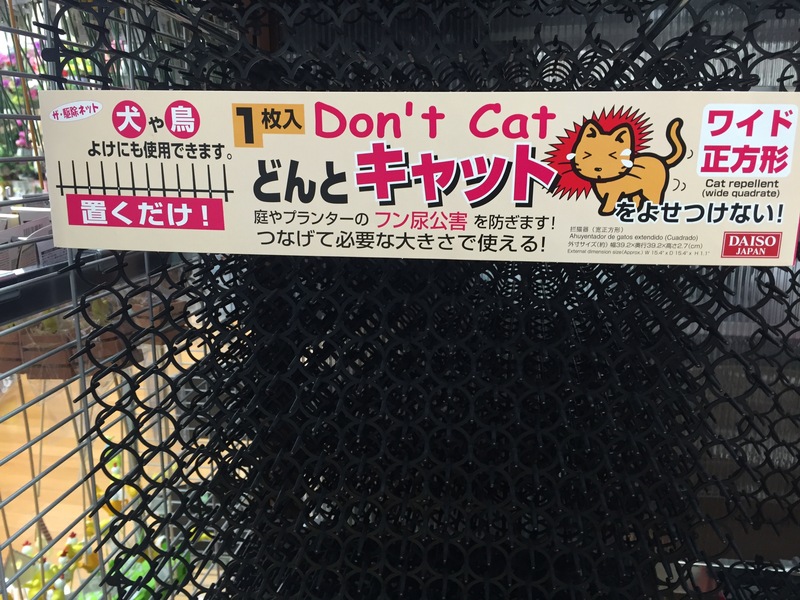 The world famous ¥100 shop.. sells mats that “don’t cat” …what I think they mean, is that it deters cats (dogs and birds too) from entering some place. They are basically spikey little mats made of plastic, which are a little sharp, but would probably break if stepped on. Probably a little painful for a cat though!